For months, we successfully held up $13 billion in pipeline and gas-export projects by denying the Federal Energy Regulatory Commission (FERC) a quorum. Last month, on the last day before a 3 week vacation, Senator Lisa Murkowski successfully broke the bureaucratic logjam by herself. Using a unanimous consent motion mere moments before the Senate Adjourned for recess, she rammed through two radical Republican nominees and restored FERC’s quorum. Now FERC is set to reconvene on September 20th with Trump’s Senate-approved commissioners Robert Powelson and Neil Chatterjee eager to use their newly minted rubber stamps.  Vote AGAINST the Dirty Energy bill (S1460), and any other legislation that would increase FERC’s authority and perversely speed up the approval process for fracked gas infrastructure. Communities and property owners nationwide need to have a say over all infrastructure projects. 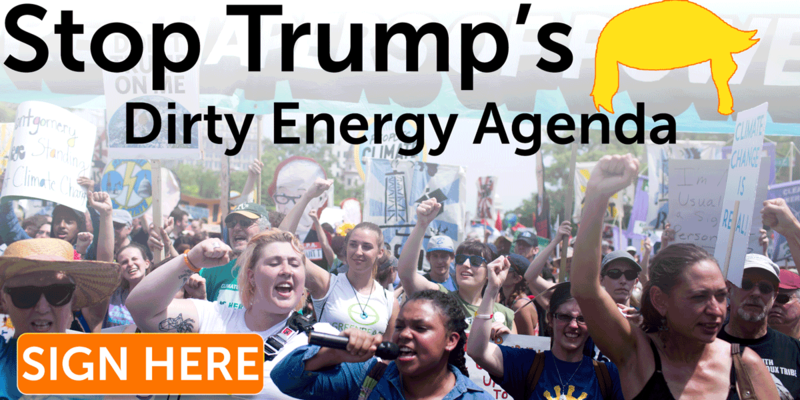 Support new legislation (such as H.R.2242, Rep. Gabbard’s ‘OFF ACT’, or the Senate ‘100 by 50’ act) and a federal permitting process that puts us on a path to 100% clean energy to create high paying jobs, a stable climate, and livable communities. It’s urgent that we raise our voices to stop this. Trump’s made big promises about “Energy Dominance” and rebuilding infrastructure (including pipelines). But he’s proven utterly impotent at moving those ideas (or any others) in Congress. That means that FERC is Trump’s best option to ram through a disastrous, fossil-fuel dependent energy infrastructure plan that would wreck our climate, clean water, and communities. Against that vision of fossil fueled fascism, a huge list of pipeline fighters and activists have been rising up to fight Trump’s dirty energy agenda — and winning some surprise victories in the last few months: A crew of Southeastern activists fighting the Sabal trail pipeline won a major battle in Court against FERC. While in New York, local regulators rejected FERC’s approval and stopped a pipeline using a local water permit — while sighting global climate change as a primary motivation. And just today local landowners announced a new lawsuit against FERC by dumping a pile of dirt in their Driveway. But while we’re fighting and winning big victories to stop the rubber stamping of pipelines and other fossil fuel infrastructure, the Senate and House are moving bills that would expand FERC’s authority. A House bill recently passed would strips the president of the border crossing authority used to stop Keystone XL and gives it to FERC. While the so-called Dirty Energy Bill (S. 1460) expands FERC’s authority by requiring other agencies to “give deference” to FERC and it limiting review of fracked gas export facilities to 45 days. But there’s also signs that we’re breaking through, as in recent months (thanks mostly to intense citizen pressure and lobbying) some members of the house and Senate have begun to question FERC’s pipeline approvals, at least on a specific case-by-horrible-case basis. Rushed approvals, refusal to consider climate impacts, approvals with insufficient information. And Congress wants to expand FERC’s authority? No way! Unacceptable!